During the groundbreaking ceremony, Mr. André Vallini, State Secretary of the Ministry of Foreign Affairs and International Development - in charge of Cooperation, Development and French Language; Mr. Jean-Noël Poirier, French Ambassador to Vietnam, together with the representatives of Hanoi People’s Committee, and the architects involved in the design of the project,haveplaced the symbolic first stone of the Alexandre Yersin project. 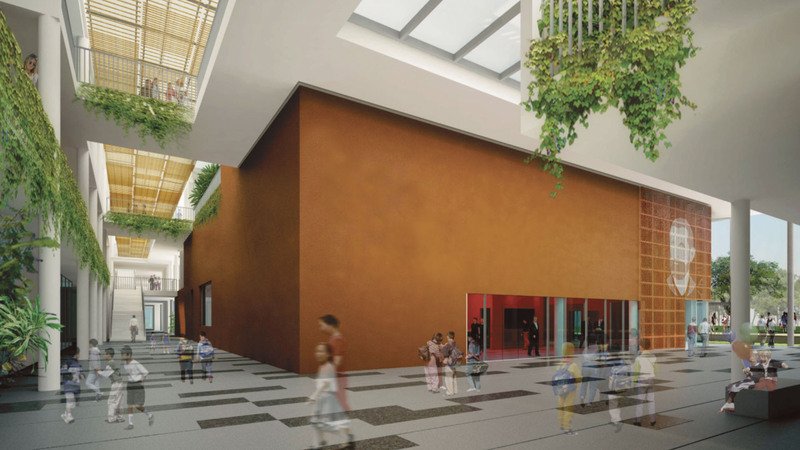 The first stone will be kept in the main Hall of the New French School, which will alsobe a place for the community to gather and celebrate events in the future. 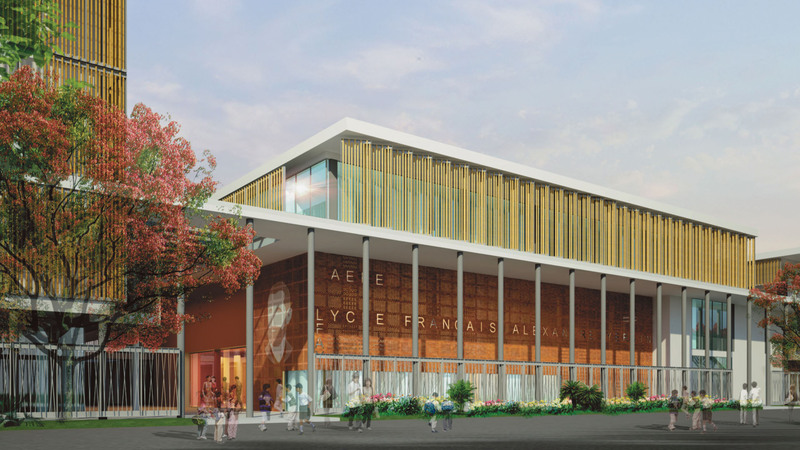 Mr. Michel Regembal and Mr. Ho Thieu Tri are trully honored to be the architects entrusted with the design of the French School Alexandre Yersin. Their concept design won the first prize in the school’s architectural design competition in 2013, and is now being implemented construction. 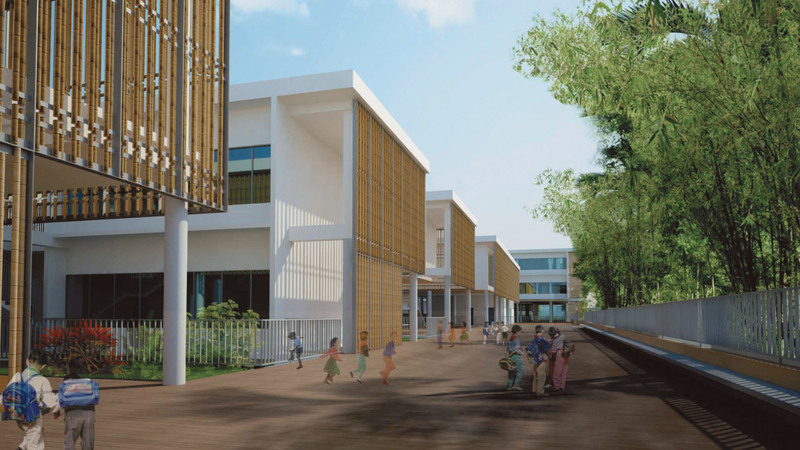 The inspiration for the school’s concept is inspired from both Vietnamese and French cultures and traditions, and the project follows the strictest criteria in energy efficiency. Most notably, Alexandre Yersin has been recognized and certified high environment quality by the International HQE standards.